BOISE — Fruitland two-sport superstar Joey Martarano will inevitably go down as one of the most accomplished athletes that has ever competed on the local high school sport scene. Not only did he get a scholarship to play football at his dream school, Boise State, but he was also taken in the MLB draft twice - once in the 13th round of the 2013 draft by the Philadelphia Phillies, and in the 22nd round of 2014 draft by the Chicago Cubs. Over the course of the next four years, Martarano would attempt to chase a dream that guys like Bo Jackson and Deion Sanders are well known for - playing in both the NFL and the MLB. From 2014 to 2016, Martarano established himself as a significant contributor on the Broncos' defense. The linebacker finished his career with 120 tackles in 28 games, which included a career-best 53 tackles in 12 contests as a sophomore in 2015. In the spring of 2017, Martarano made a difficult decision though. He chose to give up the game of football in order to further dedicate himself to baseball. Martarano hit .250 in 47 games that summer as he split playing time between Chicago's full-season and short-season Single-A affiliates. While is seemed like a step in the right direction, the Cubs would go on to cut Martarano in the spring that followed. It left him in an unfamiliar position; He did not have a team it to play for in either sport, baseball or football, for the first time in his athletic life. The uncertainty would not last long. In fact, just two months after his release from the Cubs, Martarano created quite the buzz when he fired off a mid-June tweet that revealed his intention to seek out his final year of collegiate eligibility on the football field. "Well, it's been a crazy ride so far, but I don't regret any of it," Martarano tweeted on June 11. "Start school today to get eligible for this upcoming season. Can't wait for moments like these and to get back on the football grind." 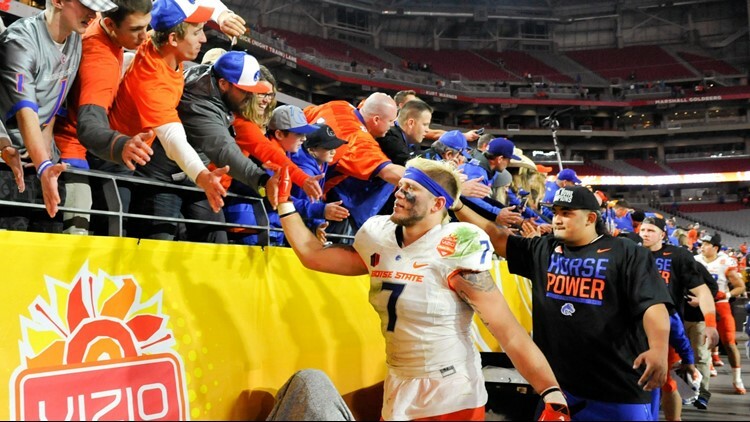 Considering Martarano's NCAA eligibility had already expired, a return to Boise State simply was not an option. With that in mind, all signs pointed to Martarano joining the football program at the College of Idaho. The Yotes play their games at Simplot Stadium, which is located less than 30 miles from where Martarano grew up. "That's the plan," he told KTVB on July 10. "I just have to pass 12 summer credits and I should be good to go." According to his Hudl account, it appears that former #BoiseState and #Fruitland High football standout Joey Martarano will play for the @YotesFootball team this upcoming season. From that moment, Martarano did everything that was required of him of academically, and he was on track to play for the Yotes this fall, according to head football coach Mike Moroski. On his mission to play, it was then that Martarano suffered an unexpected injury, one that would eventually ruin any and all plans of creating one of the biggest competitive advantages in the entire NAIA for the Yotes. 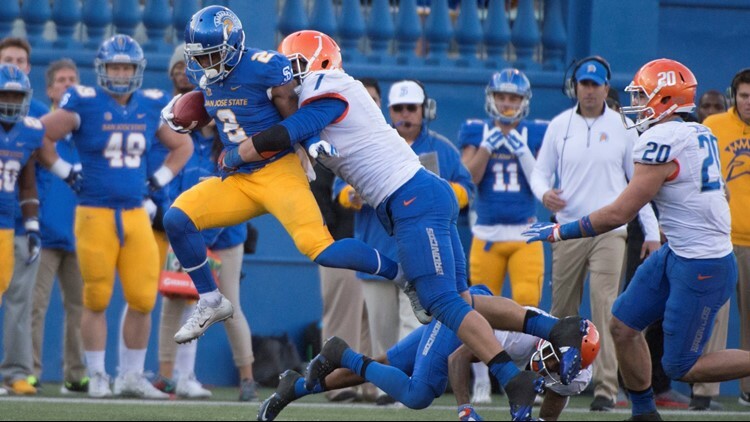 "When I was at Boise State I had some shoulder issues and I never thought to get it checked," Martarano said. "Then the other day I hurt it while [bench pressing]." Martarano went to the doctor, and as it turns out, he was diagnosed with a labrum tear. "I just never thought it was that serious," he explained. "If I remember right, I did it my sophomore year in the San Jose State game." And with that, Martarano's comeback bid came to an end, along with his collegiate football career. So what is next for the two-time Idaho Gatorade Player of the Year recipient? Well to start, how about marriage. Martarano proposed to his long-time girlfriend, Ambrea, earlier this year. The two started dating all the way back in eighth grade, according to Martarano. On top of that, Martarano says he aims to get his EMT Certification either this winter or upcoming spring, and hopes to one day join the Boise Fire Department. 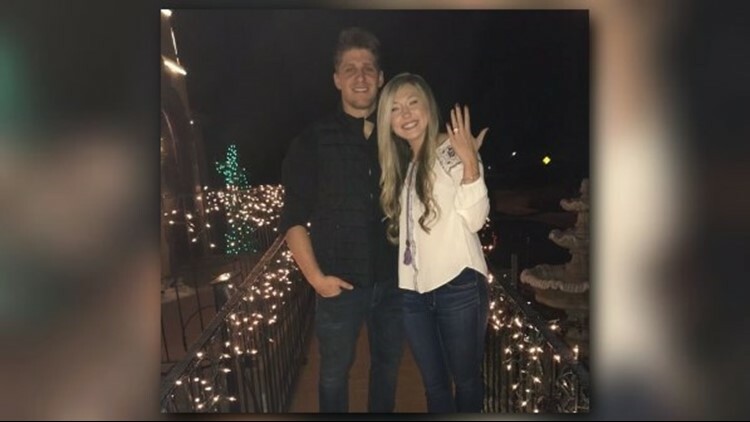 Former Boise State football player Joey Martarano got engaged to his longtime girlfriend earlier this year.